Duro Design makes a premium quality cork product with an exceptional finish and range of colours and patterns. Duro Design cork flooring is made in Portugal, but shipped to Canada unfinished. This allows Duro Design to use the premium finish they have developed, and offer their cork flooring in more variety than any other cork brand. They are famous for their quality, having supplied prestigious residential and commercial projects across North America. If you're looking to install a cork floor in your project, and you're looking for a product that offers you the perfect combination of style, quality and selection, Duro might be the perfect thing for you. 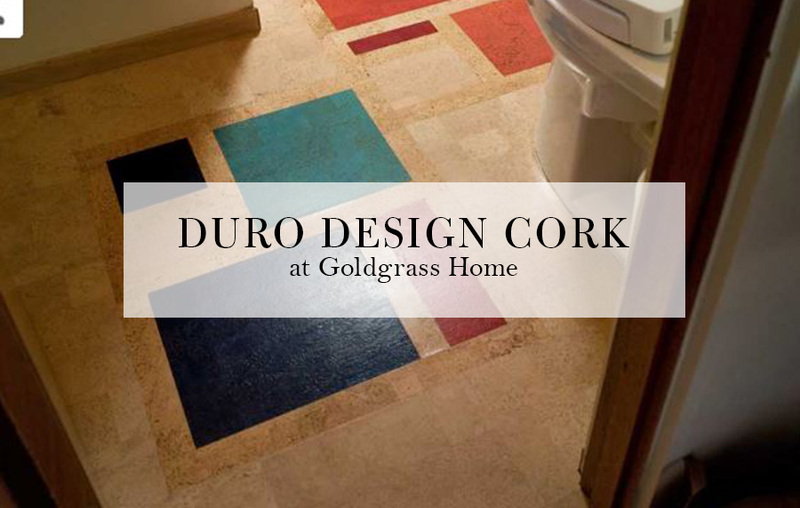 Please visit the Goldgrass Home flagship location in Inglewood to see the entire range of Duro Design Cork colours and patterns. Quality you're looking for with unmatched selection of colours and patterns. Durable, warm and comfortable underfoot, just how you want your cork to feel!